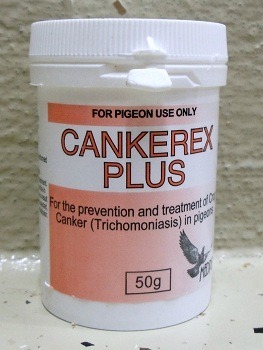 Treatment of Trichomoniasis (crop canker) in pigeons and caged birds. Dissolve in drinking water at the rate of 25 g per 40 liters and administer for 7 days. Remove other sources of drinking water while administering Cankerex.